Year 2 : Part 2 : Merry Christmas! We're currently inside Jay's Month Off, so there's no game this week. 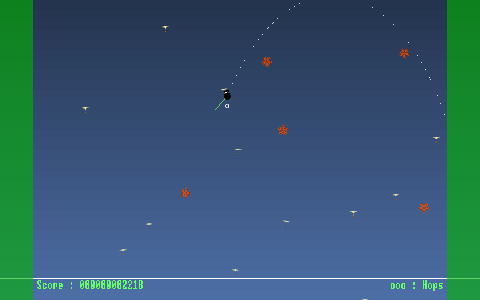 Meanwhile, I'm playing around with a few bits of tech. I've made a couple of new bits of music, fiddled with some nice big useless pictures that won't ever be used, and am pretty much sitting here quietly doing nothing all month. At some point in the next few days, I'm going to sit down, and flick through the complete collection (again!) and jot down a few little notes about each game. How well they play, how well they turned out, things like that. You can look forward (!?) to that, or otherwise just wait things out until October, when we'll all meet up again, with a whole new batch of luvliness! If you'd like to play 53 out of 54 from Year 2, you can go grab it now. I left out Rock My Chords, since it's 49Mb on it's own, and I reckon it's got an audience of.... me! But otherwise, the rest are in there. All the Windows games, the DS ones and the one single little Java Mobile one, too. What I've NOT included is the Mac/Linux packs. I'll be doing those later. Judging by the interest in the current pack, they'll be super popular, too. 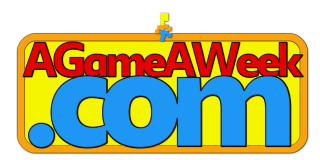 AGameAWeek : Year 2 : The Video! I was supposed to be writing up a nice big writeup for this, but.. I'm in no rush! I'm resting! This weekend I'm planning on doing a nice big happy writeup about Year 2. I'll be hopping through and replaying all my year's games, and jotting down little should/shouldn't's about each one. I might even take the time to record a few seconds of each and then build up a nice big Year-2 Video. 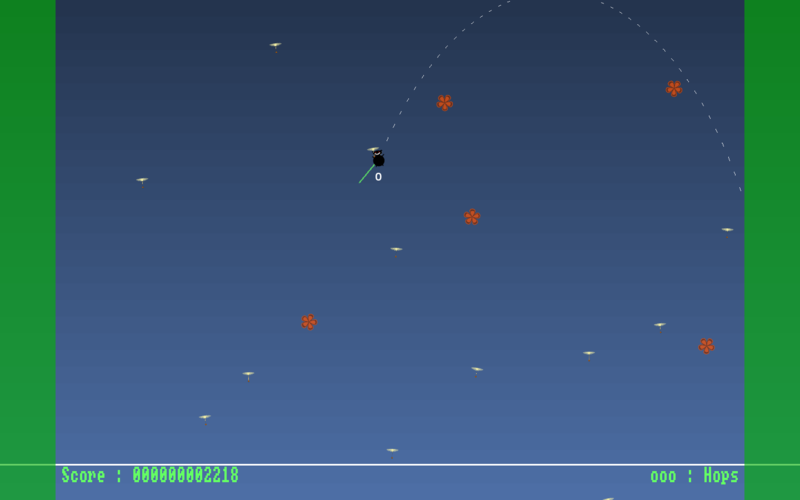 Meanwhile, I can't sit still, and have already begun a new'ish game. ... FFS, I can't count. Even with a miscount, I still managed to equal the weeks:games ratio. and here's a great big blue and red google graph, looking all lovely and linely! Fred is a happy Flea, and he loves to hop. He especially loves it when all the Dandelions are casting their seeds around in the air, as he can grab on, and go for a ride. As promised, here's a quickly bundled together edition of Cardagain DS. I'm not sure if folk'll play it, since nobody seems to play it, so I haven't spent a lot of time on it. It's the absolute basics that are needed. Remember the layout, Remember the order, and then pick the Cards Again..
Tuesday, Fred the Parachuting Flea. How to sell an extra copy of your magazine..
Place an indie game into a copy of your magazine. 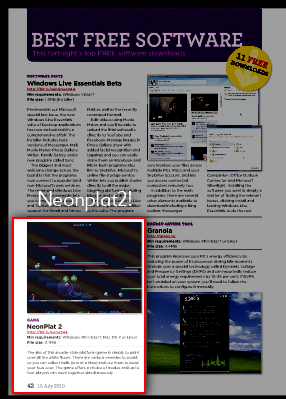 In this case, Webuser failed to tell me that NeonPlat2 was in their July 15th 2010 issue. As such, I haven't bought it. They 100% lost a sale, because had I known I was in it, I would've damn well bought it. I have three other copies of WebUser in my "Black box filled with magazines that my games are in"
But now I'm missing this one. Guide Kee, Bo and Ard around the mazes, to try to collect all the pickups. Kept the random title.. It'll do! Not sure if it works better as "Kee, Bo and Ard", or just "Kee Bo Ard", but either way, here we have it! Kee, Bo and Ard must all be guided through the maze. They have to collect all the pickups, and once they're all done, you can progress to the next level. 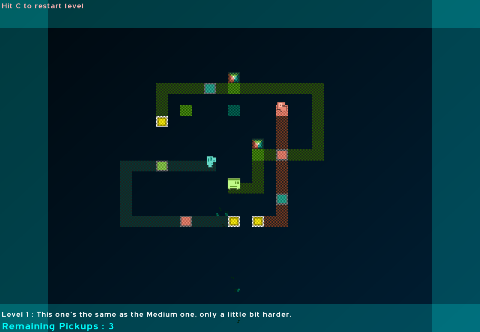 Hit Z/X to switch between characters, and cursors to wander around the maze. Be careful of deteriorating floors, and switchable tiles, and things like that. If I receive a bunch of levels, I'll do my best to make a nice big updated edition of the game. As it is, this is it. Lovely and gamey! 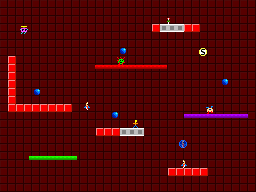 You can Download Kee Bo Ard here, for Windows, Linux and MacOSX. Ah, back to the old routine! 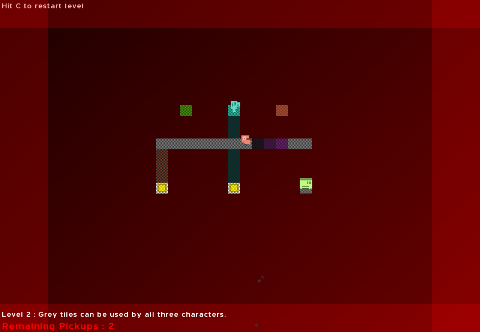 I had promised a new Sheriff Munky game, this week, but I think it's got the lurgy! Every time I touch it, it brings horrible memories of the past couple of week's deadness, and I can't seem to get on with the game. So, this morning, I happily scrapped it, and started work on a completely different project. If you've played Sensitive (Spinal made a nice DS one) you'll recognise this game. Except it's a wee bit different. 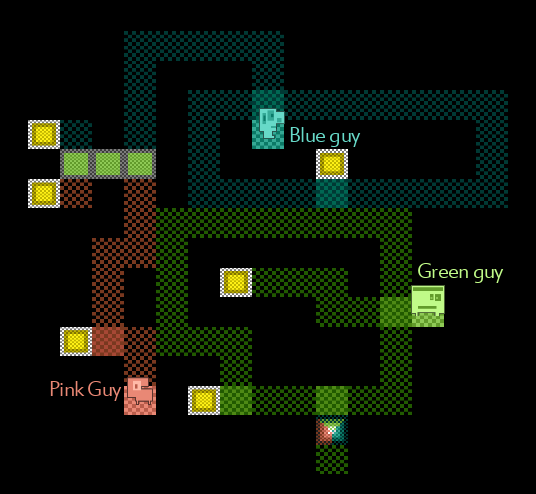 There are now 3 characters to control, and guide around the map. Game is in-progress.. Needs a bunch of maps, and maybe a size-tweak, map dependant. ... time permitted, of course! Last Sunday I had the worst migraine I've had in ages. Ack!! For the rest of last week I felt mostly drained, not much energy, and I haven't really done too much of anything. Authentic Kaizen (pixelprospector.com, ideaman behind NeonPlat) has sent a few new game ideas. Some are short and sweet, but the most tempting one feels like it needs a little care and attention. I feel like I want to do something with it, but am struggling to come up with a way to compress it into a week's worth of code. I think, what I might actually do, is leave it a few weeks. 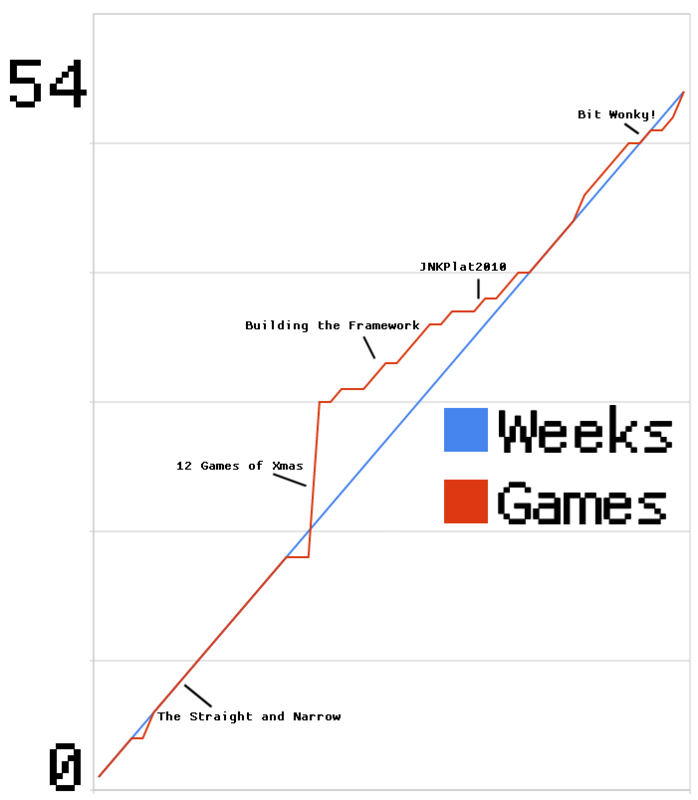 Once I hit the 52nd week of year 2, and another whole year's worth of games, I'll be taking a small rest. Maybe about a month's worth of time off. During this time, for about a week, I'm going to be stuck at work every morning, which'll be eating chunks out of my regular coding time. Luckily, the two event coincided with each other, so that's not a big deal. But I'm also going to be taking some time out to actually play a few games. I've really not been playing a whole lot, for a long while, and I think I need to refresh my game ideas a little. 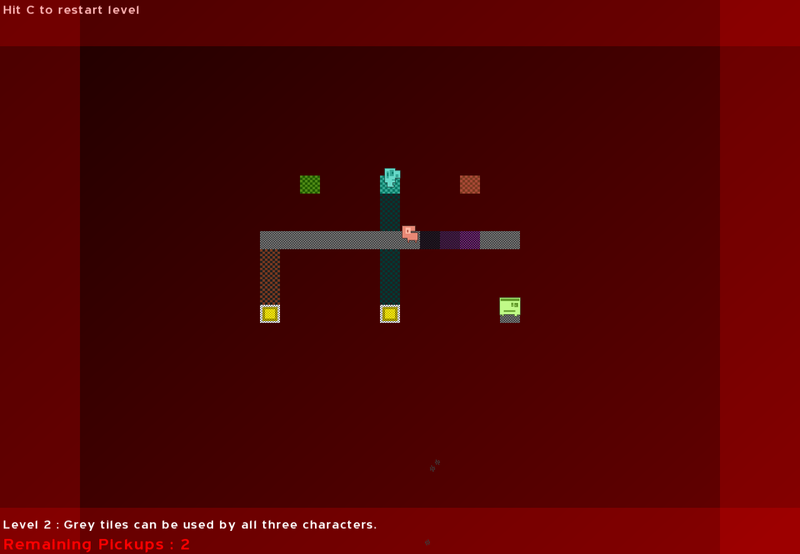 Meantime, I'll slowly but surely work on Kaizen's "big idea", spending time crafting a few loving levels and things. Still, that's a few weeks away, and there's another 3 games to make before then. 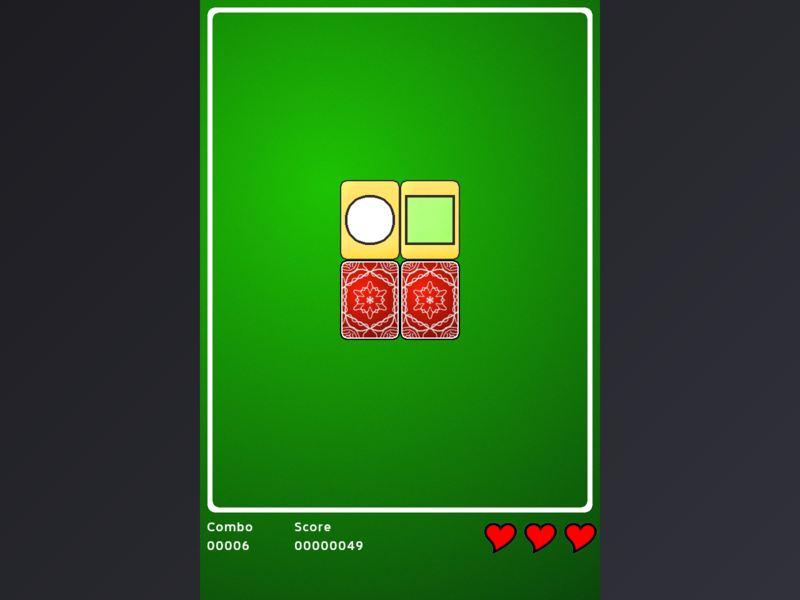 Incase you hadn't heard already, I released my first iPhing game, last Wednesday night. This week, I'm releasing the Win/Lin/Mac testbed version of the very same game. Think of this as a promotional item, of sorts, but also as a "Let's try new things" ideas edition. First up, this new one has a batch of new backgrounds and cards. The backgrounds are already in my in-dev iPhing edition, and the Cards are making their way in, slowly but surely. That update should turn up soon enough! 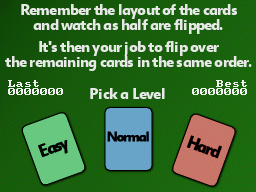 After this, I'll be fiddling about with the Blitz version, to find new gameplay styles, and things like that. So if you can think of anything cool, let me know. 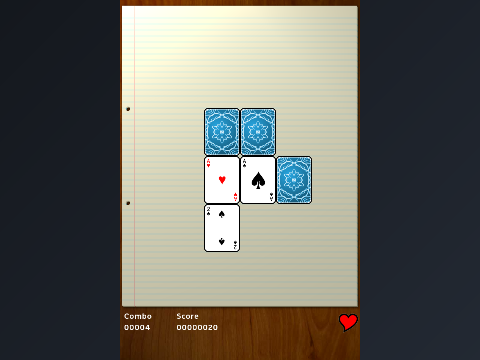 Meanwhile, as it stands, here's Cardagain and this one's free. The Windows, Linux and MacOS editions are here! The iPhing edition is available here! AGAW Scoring : 49 weeks, 49 games. Awesome!! ...but a bit tight! eek!